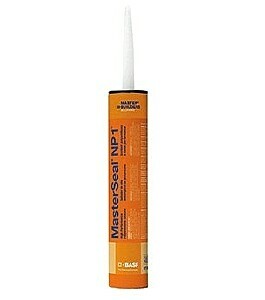 PRODUCT: SONOLASTIC NP1 ONE-PART POLYURETHANE CAULKING SEALANT, TILE RED COLOR, 10.1 OZ / 300mL TUBE. 30 TUBES/CASE. PRICE/CASE. Sorry, this color is no longer produced in NP1. Please select an alternative. With 800% elongation, 350 psi tensile and +/- 25% joint movement capability, NP-1 handles most every exterior application.